Welcome back! This week at Buffalo State offers everything from learning how to properly cite sources to an opera about the Christmas 1914 truce between frontline troops during World War I. In fact, you can even start (or finish) your holiday shopping on campus this week. Tuesday, November 27, 12:30 to 1:30 p.m.
Wednesday, November 28, 12:30 to 1:30 p.m.
Thursday, November 29, 12:30 to 1:30 p.m. Feeling overwhelmed by all the details required for citations? Not sure how to properly cite sources and avoid plagiarism? Learn the ins and outs of using MLA, Chicago, and APA style to cite books, articles, websites, and more. Bring a paper or bibliography draft to review. Wednesday, November 28, 11:00 a.m. to 1:30 p.m.
Catholic Charities of Buffalo, a Catholic-sponsored human service agency serving anyone in need in the eight counties of Western New York, will be on-hand to present volunteer opportunities. The agency provides a wealth of human services field for those looking to get involved and help others. Thursday, November 29, 11:00 a.m. to 1:30 p.m.
Stop by the Student Union and learn about how you can support and volunteer alongside one of Buffalo State's community partner organizations, the Girl Scouts of WNY. Be a part of Buffalo State’s civic and community engagement mission! Come and learn the art of improv through games and how to interact with others without freezing. Sponsored by Casting Hall Productions. Thursday, November 29, 7:00 to 10:30 p.m.
Game Night, sponsored by the Gaming Group, is an event for students that encourages relaxation through gaming. Games include, but are not limited to, board games, video games, and Dungeons and Dragons. The Digital Music Production program at Buffalo State College presents "Anima" a memorial concert honoring the legacy of Japanese composer Takehisa Kosugi (1938-2018), played by the Interactive Synthesizer Orchestra. The event is free and open to everyone. 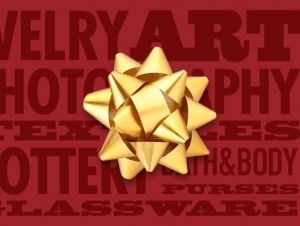 Friday, November 30, noon to 8 p.m.
Join the art center for their annual holiday gift sale. More than 50 local artists are part of the three-day event. The sale runs through Sunday, December 2. For more information and to RSVP, check out the art center on Facebook. Friday, November 30, 8:00 p.m. Written by Kevin Puts, with libretto by Mark Campbell, Silent Night is a Pulitzer Prize-winning opera, commissioned by Minnesota Opera, and first performed in 2011. Buffalo Opera Unlimited is excited to present this true story of an unofficial Christmas Eve truce between French, Scottish, and German soldiers during World War I. The opera is sung in English, French, and German; English supertitles will be projected. 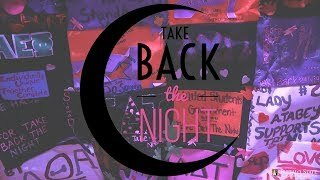 Silent Night is particularly relevant this year, since 2018 marks 100 years since the end of WWI. The opera runs through Sunday, December 2. For tickets or more information, call (716) 878-3005, or visit the Performing Arts Center site. Saturday, December 1, 11:00 a.m. to 2:00 p.m.
Join Best Buddies and raise money for the Special Olympics by “Freezin’ for a Reason” in the Polar Plunge. The bus to Woodlawn Beach will leave at noon, and registration is required. Participants should bring money for food and souvenirs. Saturday, December 1, 5:30 p.m.
Join the Music Department in the Ciminelli Recital Hall at Rockwell Hall for an evening of works by Messiaen, Barber, Chopin, and Glinka, as well as traditional Korean and Irish folk songs performed by Mabel Rosney. Mabel studies in the studio of Dr. Holly Bewlay and will be accompanied by Ivan Docenko and Dillon Slater. Reception to follow the performance.